The cell layer just outside the retina of the eye that nourishes the retina’s visual cells. A navigation and communication technique using sound waves. The trillions of junctions in the body through which the nervous system communicates to other systems. Summary: Human and animal organs sometimes seem to lend credence to the evolutionary theory. What's the truth? Human and animal organs are mysteries of ingenuity that baffle the greatest intellects on Earth and make even the world's supercomputers look like feeble toys by comparison. The electrical design and storage capacity of the nervous system is onesuch astounding mystery. There may be up to 100 trillion synapses in the brain, and each one acts as a filter, a signal disseminator, and a calculator ensuring the flow and filtering of information. The capacity to store information is infinite and, to crown it all, the brain makesit possible to appreciate beauty, it makes us creative, and makes usc apable of moral judgments. Systems such as the countercurrent exchange and multiplier systems, which are found in the gills of fish, the lungs of birds, and in the kidneys of mammals, require full structural development before they will function. One wonders how such systems could have evolved gradually over time. In the case of the countercurrent multiplier systemin the kidney, for example, no halfway-developed system would work.These countercurrent systems make for highly efficient oxygen exchange and they create the capacity to concentrate urine against concentration gradients. The systems have to be complete before they work. This implies design. Scientists have used computer models to reconstruct the possible evolution of the eye, but notoriously absent from these models is the intricate retina,which contains more than 100 million light-sensitive rods and cones that enable us to see in dim and bright light and provide color vision.Also absent from their models are the mechanisms which control the lens and iris and the mechanisms which lead to the perception and translation of the information. Scientists have still not been able to fully understand how the brain converts the simple nerve impulses from the eye into images. 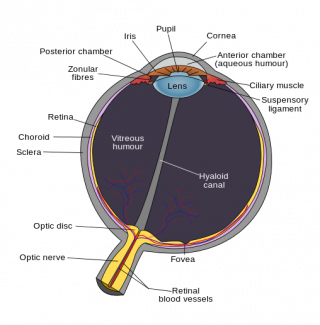 The retina of the eye has been an issue of hot debate because it seems to be inside out. Its light sensitive disks face away from the light source and several nerve cells lie in the path of the light. This has prompted numerous derogatory statements from evolutionists. In fact, the eye is brilliantly designed. The retina is inside out fora very specific purpose. In the area of the retina that is responsible for sharp vision—the fovea—the nerve cells are almost completely absent, and the nerve fibers radiate away from the central region, thus allowing clear vision. There is also a good reason for the orientation of the rods and cones toward the pigment region and not towards the light source, which lies on the outside of the retina. These rods and cones are constantly replacing the visual pigment disks and the pigment epithelial cells absorb the old ones. Were the retina not “inside out,” the pigment epithelial cells would not absorb the disks, and the vitreous humor of the eye would rapidly become murky, causing visual impairment. The pigment epithelial layer could obviously not lie on the other side of the retina so that the light sensitive bits would face the incoming light, since then there would be even more cells between the light source and the retina. Of course, the pigment epithelium must lie exactly where it does lie,since it not only absorbs old disks, but also supplies the nutrients needed for the production of new ones and receives these nutrients from the rich blood supply in the choroids layer right next to it. Without the blood supply, the whole system would break down. If the retina was orientated the other way, the blood supply would also have to be on the inside of the eye between the light sources and the rods and cones,totally disrupting vision. Ears do not only record sound, they also provide information about where that sound is coming from. This is achieved by separating the ears spatially so that there is a slight time and intensity difference between the recordings of sound by each ear. 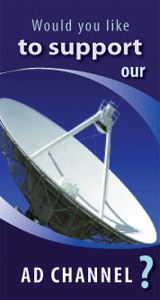 This information is then used to calculate where the sound is coming from. Directional sourcing is even more astounding in tiny insects, since their ears are often only fractions of a millimeter apart. For example, even though the fly Ormia ochracea's ears are only half a millimeter apart, it can source the direction that sound comes from with pinpoint accuracy.iii,iv The difference in the time between the two ears hearing the sound is only 1millionths of a second, with practically 0% intensity difference. This amazing ability is achieved by coupling the eardrums with a flexible lever, resulting in resonance, which increases the time difference40-fold. The drum nearest the sound then also vibrates some 10 decibels stronger. The nerves also respond in coded fashion creating a furtherfivefold increase. These masterful design features are already being incorporated into hearing aids and could be used in directional microphone technology. i. Steve Jones, Almost like a whale: the Origins of Species updated (London: Doubleday, 1999). ii. “How dolphins hear without ears,” New Scientist 164 (2000): 17.
iii. 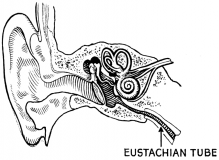 A.C. Mason et al., “Hyperacute directional hearing in a microscate auditory system,” Nature 410 (2001): 686-690.
iv. P.M. Narins, “In a fly’s ear,” Nature 410 (2001): 644-645.